When it comes to eating right, you need to take your heart into consideration. According to the American Heart Association (AHA), heart disease is the No. 1 killer of American women. So how can you adjust your diet to ensure you are treating your heart with TLC? Here are some characteristics of a heart-healthy diet. Saturated fats and trans fats cause your body to make additional cholesterol. So cap your total fat intake at 35 percent max. (Ideally, keep it between 25 and 35 percent.) Your saturated fat intake should be less than 7 percent per day, and your trans fats intake should be less than 1 percent of your total daily calories. Include foods with heart-healthy fats in your diet. Eat more salmon, olive oil, olives, avocados, and nuts. While your body makes its own cholesterol, food such as meat, poultry, shellfish, eggs, butter, cheese and whole and 2 percent milk are responsible for additional cholesterol. The AHA recommends limiting your intake of cholesterol from food to less than 300 mg per day, less than 200 mg if you have high levels of low-density lipoprotein (LDL), or “bad” blood cholesterol or are taking a cholesterol medication. Shoot for between 25 and 35 grams of dietary fiber a day, which you can get through whole grains, fruits, vegetables and legumes. Fiber can lower your risk of heart disease in addition to lowering your risk for diabetes. According to the mayoclinic.org, soluble fiber found in items such as beans, oats and flaxseed might help lower total blood cholesterol levels by lowering LDL levels. A diet rich in fiber can also reduce blood pressure and inflammation, which is also important for heart health. But only a grain… or two. OK, more like 1,500 mg or less of sodium per day, according to the AHA. 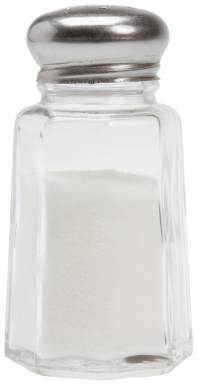 Too much sodium can lead to high blood pressure, heart disease, edema and kidney stones — no fun. So go easy on the salty stuff and consider low-sodium versions of your favorite soups, sauces and even seasonings. Eat fish at least once or twice a week to reduce your risk of a heart attack by a third or more, according to mayoclinic.org. Omega-3 fatty acids, unsaturated fats that are found in fish, are believed to reduce your risk of dying from heart disease. Salmon, herring, tuna and some varieties of trout have high levels of omega-3s. Fruits and vegetables are not only great sources of vitamins and minerals, they also contain substances that help prevent cardiovascular disease, according to mayoclinic.com. Opt for fresh or frozen fruits and vegetables, and avoid fried versions or ones prepared with creamy sauces or added sugar. Whole grains are an important part of a heart-healthy diet for several reasons. They add to your daily fiber tally and they help regulate blood pressure and heart health. To up your whole grain intake try adding ground flaxseed to your morning yogurt or oatmeal. Avoid white, refined flour and white bread. Nuts such as walnuts and almonds have been found to help lower the LDL level in blood and reduce your risk of developing blood clots that can cause a heart attack, according to mayoclinic.org. Research is still being conducted to fully support the belief that nuts are an essential part of a heart-healthy diet.